We first visited the Hebrides in 2001, when we made the fairly tame trip across the then highly contentious Skye Bridge and on up to Uig, on the excuse of visiting the Isle of Skye Brewery. Since then we have got more adventurous and the Outer Isles have been a regular haunt. As you can see from the pictures here, the scenery is stunning and there is a sense of "vastness" about the place. What you can't see from pictures, however, is the complete and total silence which surrounds you. That, I think, is what has taken us back time and time again since that first visit. 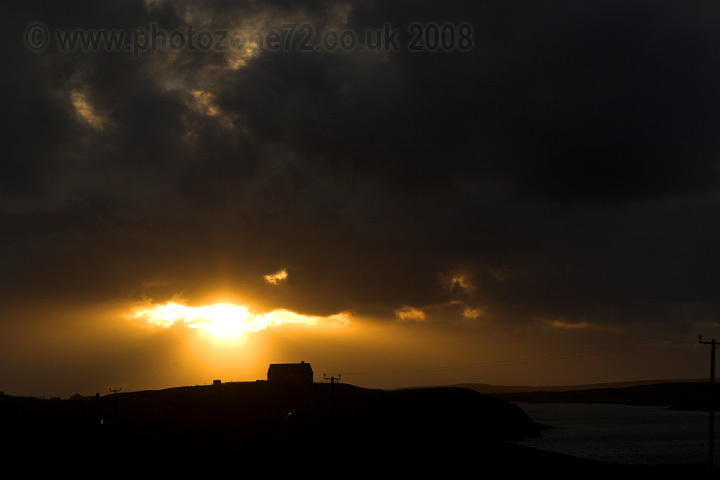 The inhabited islands of the Western Isles or Outer Hebrides extend from the Isle of Lewis in the North, to Vatersay in the south. 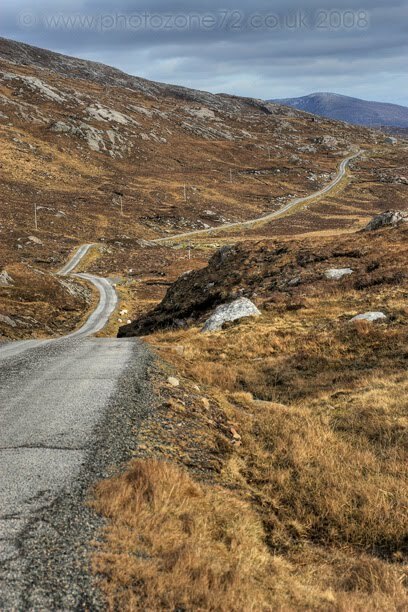 With the recent construction of causeways it's now possible to drive between many of the islands including some of the smaller ones, although ferries are still necessary to travel from Harris to North Uist and then from Eriskay on to Barra. Perhaps the thing which stands out most about the Islands is the contrast in the landscape. From the beautiful white sandy beaches - almost more worthy of the Caribbean than Scotland - to the stark rocky coastline elsewhere, there is always a surprise in store around the next corner. Many of the roads are little more than tracks, mainly which simply goes to add to the feeling of remoteness.